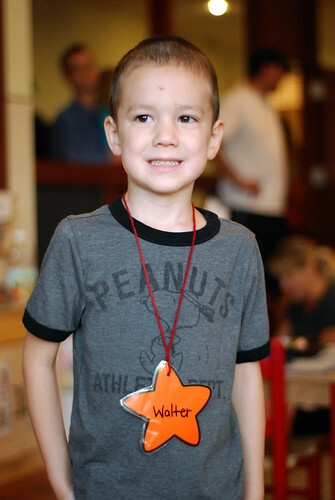 Walter had his first day of 4K (4-year-old kindergarten) today! 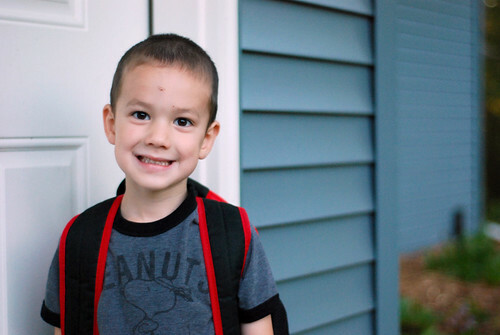 4K is held in the same classroom that he's been in all summer for preschool, so he was familiar with his surroundings and knew some of the kids already. But he had two new teachers and a bunch of new kids to meet. And he had a great time! 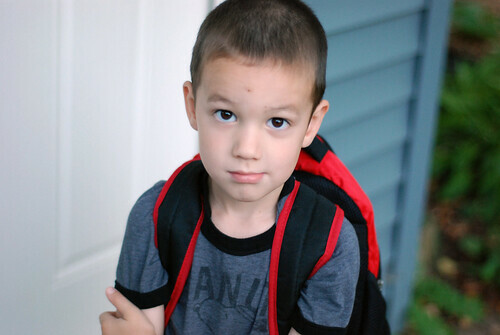 Here he is on his first day. He's got the same cheeser smile that he had last year. This was the "real" Walter this morning. "Are you done, Mama? Can we go now?" Why is he in such a hurry to grow up?